Rosalie Angel made a donation through a life insurance policy to benefit Akron Children’s Hospital’s Lewis H. Walker, MD, Cystic Fibrosis Center. After her two children passed away following battles with cystic fibrosis (CF), Rosalie Angel wanted to give back to the hospital and the center that was there for her family when they needed it most. Rosalie made a $10,000 gift to Akron Children’s Hospital’s Lewis H. Walker, MD, Cystic Fibrosis Center through the donation of a life insurance policy. Dr. Walker’s dedication to his patients extended throughout the CF center. Rosalie has experienced both sides of the exceptional care at Akron Children’s. 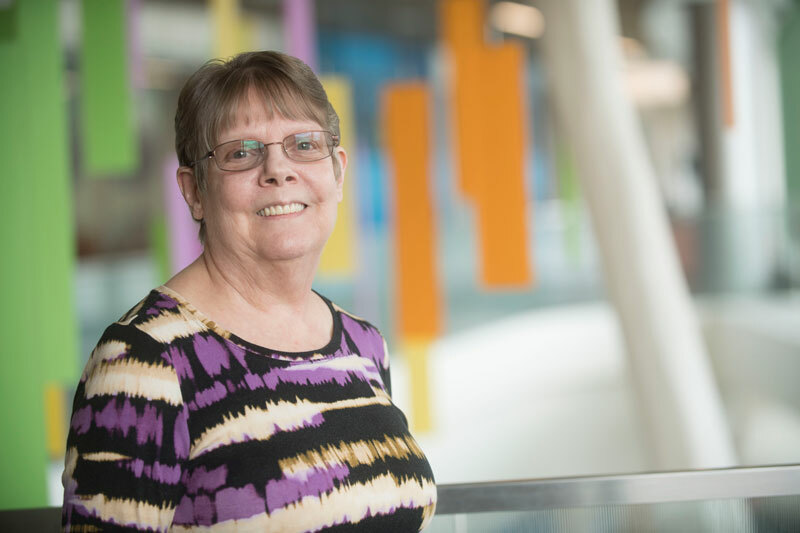 She worked as a phlebotomist in the outpatient laboratory at Akron Children’s Hospital for 27 years before retiring in 2015. Retirement didn’t last very long – Rosalie came back to the lab last December. “I missed the kids,” she said with a laugh. As a patient family and an employee, Rosalie knows the importance of the services Akron Children’s provides for area patients and families. The crucial role the hospital plays in the community and the ways it gives back to the community is why Rosalie decided to donate a life insurance policy. For more information on how you can include Akron Children’s in your estate planning, contact Maureen Katanic, senior director of development, at 330-543-8343 or mkatanic@chmca.org.